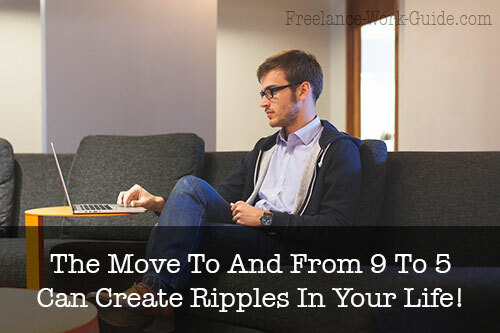 The Move To and From 9 To 5 Can Create Ripples In Your Life! Freelancers who are transitioning from a 9 to 5 job to freelancing full time can find that this will cause disruption in your life. I explain why and how to change your perspective. Whether you are a parent or grandparent, it is clear that the future of work is changing with the digital economy. Teenagers can create apps that can make them a fortune because of creativity and new ways of thinking and working. It is important that children are encouraged to start to think about the future of work and how creativity is increasingly important. Freelancers need to be good decision makers because they are in business and bad decisions can impact unfavourably on their bottom line. I reveal a good process for making decisions. Freelancers quite often interact with other workers in different time zones and it is important that a process of regular communication is worked out. I explain why and reveal some tips for working better remotely. Retiring part-time for retirees is a very powerful way to make retirement savings last longer, but it is not the only reason to retire part-time. I explain why and provide some links to articles on this important subject. I share the links to the latest Drought News and how you can help, plus our updated stories on Amazon news, Amazon website case-study and cybersecurity.